Perpetual Motion was our 17th escape room. We went as our usual team of 4 experienced players. Upon arrival, we were greeted by one of the owners, Julia. She was extremely friendly, and we had a bit of a chat while deciding on our team name, before we were given the instructions for the room. The back story of the room happened inside the room, and then we set off to work on our escape. The room was challenging and fun. There is one thing about the room that we have never seen before, and it was put to good use – definitely very cool! The theming and atmosphere were fantastic and the puzzles were excellent. Everything was well thought-out and of a very high standard, and you can tell that both Julia and Darren have gone to a lot of effort in creating a coherent room that was a good challenge for everyone. After our escape, we got to chatting some more, and we were given the opportunity to try a puzzle treasure chest that they have created for the Hills Relay for Life event last weekend. How could we say no to bonus puzzles??!! The chest was compact and fun – a brilliant way to make a portable mini-escape room. 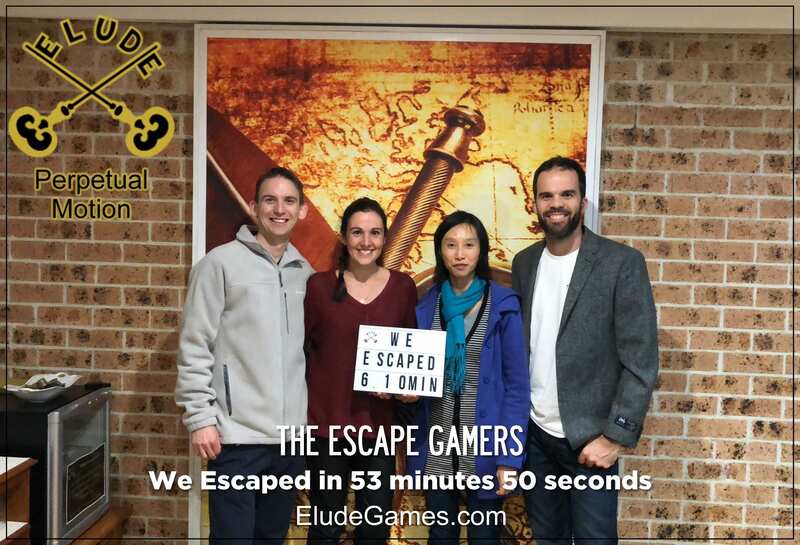 Thanks Julia and Darren for a most fun and excellent escape room experience! We will definitely be back! !